Hello Dealsnloot Readers, I am Back With New Loot Deals.This Deal By Scandid App.Scandid App offering Rs. 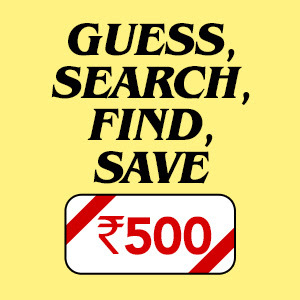 500 Reward by scandid app hide Search means by scandid hint.Get Products with Rs. 500 Scandid Reward 1 Product everyday. Search and Buy (Like Amazon App hunt).Then Grab This Loot Deal and Get Unlimited reward Daily. You Done ...You Receive Your Reward In Some Days. Scandid will give Rs.500 Scandid Reward when a user purchase that product. Rs.500 Scandid Reward would be explicitly mentioned on that product. Rs.500 Scandid reward would be credited to user's account in 60-90 days from the date of transaction.